With their plump leaves, cascading falls of feathery green or berrylike clusters of greenery, succulents are a stunning addition to any room of your home or office, from the kitchen window to the bathroom countertop. The color and form of this diverse group of plants spans the spectrum of beauty: The blue-green of the panda plant, the thick, juicy leaves of the hens-and-chicks with its surprising red blossoms and the tumbling pearls of the burro’s tail. 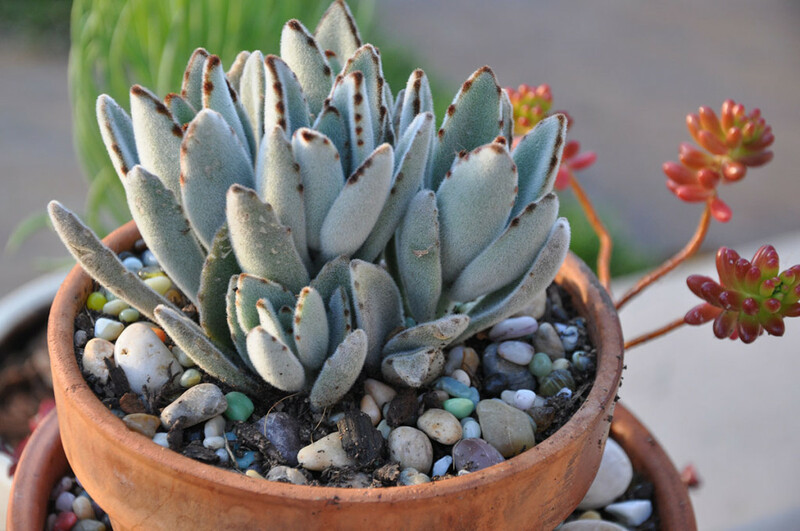 Always in style, succulents offer an endless variety and easy-care choices for your plant needs. We’ve chosen our Top 5 to get you started on the cultivation and care of succulents or add to your cacti collection. 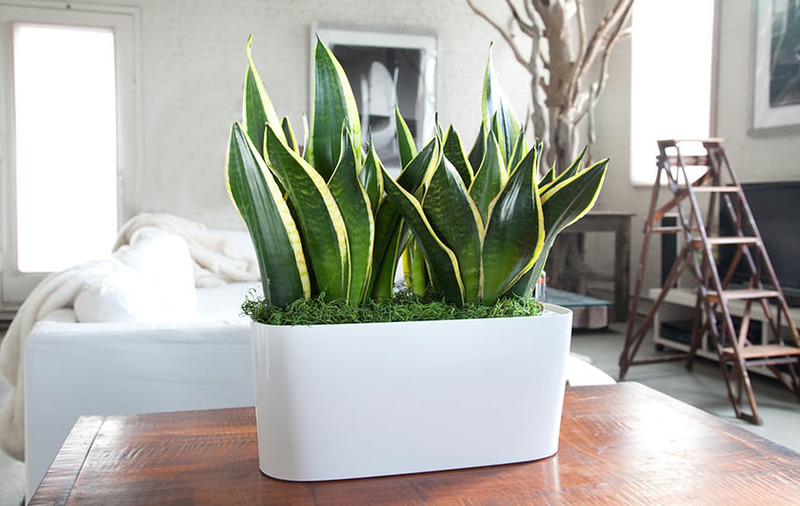 Once a mainstay of drab office décor the snake, or mother-in-law plant is back in style in trendy work spaces. The long, pointed leaves with yellow or white markings snake toward the light, growing tall and lean. They can provide a natural barrier between rooms or camouflage an unattractive view, such as the back of a desk or snaking cords that lead to a wall outlet. Gorgeous in any environment, this old-fashioned favorite produces fat, happy leaves under most any circumstance or careless owner. The glossy green leaves tinged with red on thick stems grow thick quite quickly and needs a bit of pruning annually. 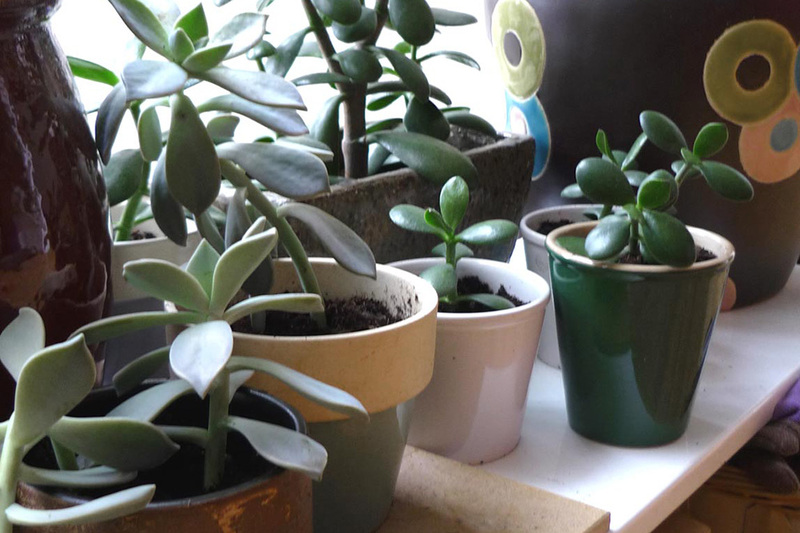 As one side poofs larger than the other, cut the branches at the stem and replant to grow another jade plant for you or friends to enjoy. Most often seen in a hanging basket to show of its clusters of pale green foliage, burro’s tail is quite easy to care for. The Mexico native prefers lots of sun and can grow up to 3-feet long if left to its own plans. This little love may offer you a summer surprise with pinkish red flowers at the end of its stems. Burro’s tail is shy, so leave it where it won’t be disturbed by curious little hands or brushed up against accidentally as the leaves tend to fall off with the slightest touch. While you may recognize this popular plant by sight, its warm and fuzzy name often surprises people. The round plant produces little “chicks” as it grows, tiny plants identical to the parent plant and connected at odd angles. 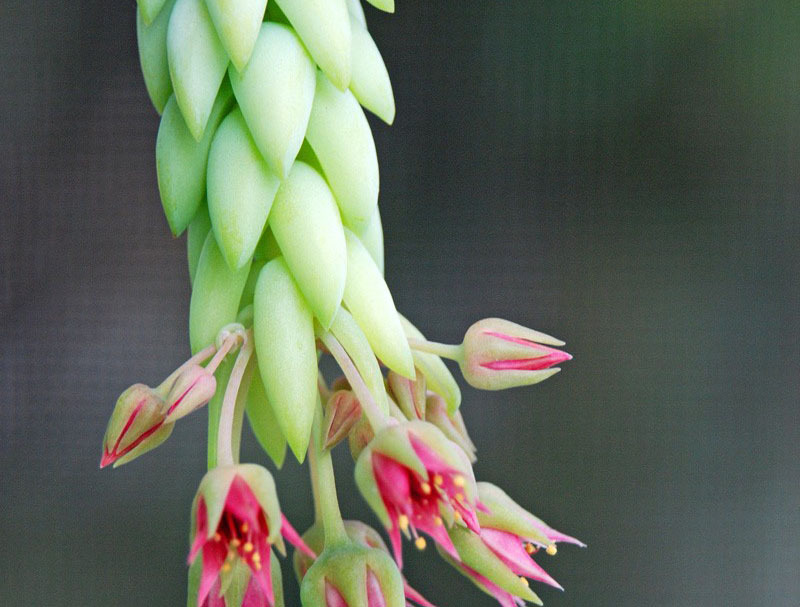 The busy succulent produces flat, flowerlike rosettes with rounded edges every year. The soft silver hairs that grow on the thick green leaves tipped with a wisp of brown give the panda plant a fuzzy, blue-gray look. The long, chubby foliage needs no fussing or pruning as it grows tall in large clusters. Group the panda plant with the cascading burro’s tail for a stunning centerpiece or entryway planter. 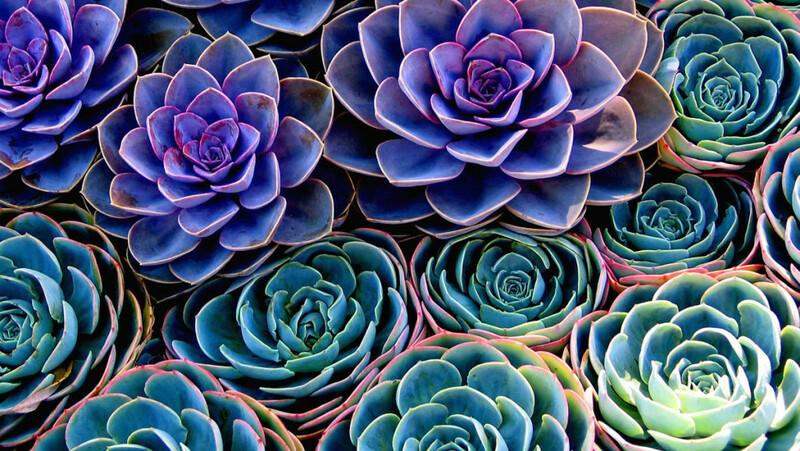 IG TIP: The juicy leaves of succulents often belie their lack of thirst. Most succulents are easy to grow due to their water-storage tissues that store all their needs, so be careful not to overwater. Allow the soil to be dry to the touch before you water again. They enjoy the dry humidity and warmth of most homes and offices, so they don’t need much fussing over. Don’t worry about direct sun or lower light as most succulents will adapt to their environment quite well if left alone. ← Chinese New Year: How are You Celebrating the Year of the Sheep?